Fiat Chrysler Automobiles today announced a recall of approximately 1.4 million vehicles in the U.S. over a software vulnerability that could give a hacker remote control over virtually all of the car’s functions. You can verify whether your vehicle is included in the recall by entering its Vehicle Identification Number (VIN) at the Uconnect Software Update Site. If your vehicle is included in the recall, Chrysler will send you a USB device with a software patch to cure your car security woes. You can complete the recall yourself by connecting the USB drive to your car’s port and following your car’s on-screen install prompts. You do not need to bring your car in to a dealership unless you need assistance with the process. In addition, Fiat Chrysler notes that it has already implemented network-level security measures to block a remote attacker from taking control of a vehicle. These measures were fully implemented Thursday and require no action from you. 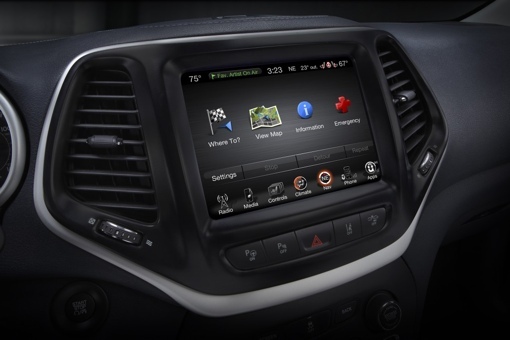 Recently, a team of white hat security researchers demonstrated that the Jeep Cherokee, along with other Chrysler vehicles, were vulnerable to remote attack via the car’s Internet-connected entertainment system. The team was able to disable a Jeep’s transmission, brakes and other key systems as it was being driven down a highway. Thankfully, this was only research – Chrysler says there have been no reported incidents of a car hacking beyond the demonstration. Still, given the safety risk involved, you’re going to want to take care of this issue immediately. For more information about this safety recall, you can call Fiat Chrysler’s customer line at 1-800-853-1403. You can also read up about the issue at the Fiat Chrysler Automobiles blog.